Publications for you to print and take with you on the go! Click on any of the Publication item titles to open the PDF. You will need Adobe Reader to open the PDFs. To order publications click here. 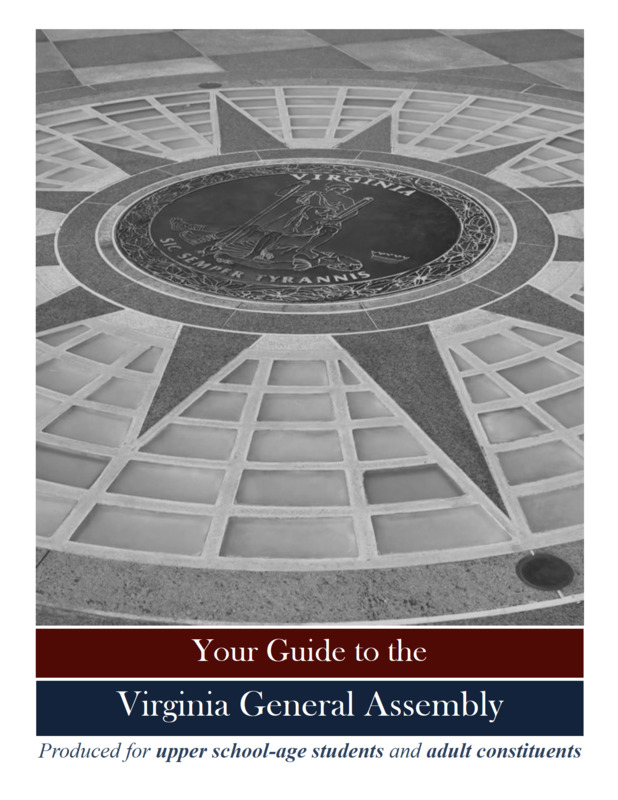 A student guide to Virginia's legislative process for grades 6 and 7. An information and activities booklet for pre-school and kindergarten students which contains puzzles and pictures to color. 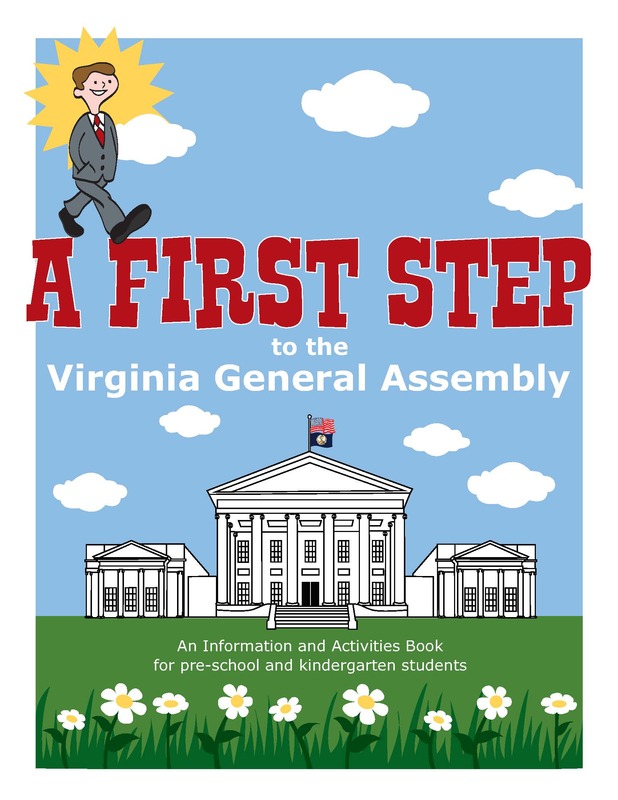 The Virginia House of Delegates Activity Book has been developed for 4th and 5th graders who are being introduced to Virginia studies. 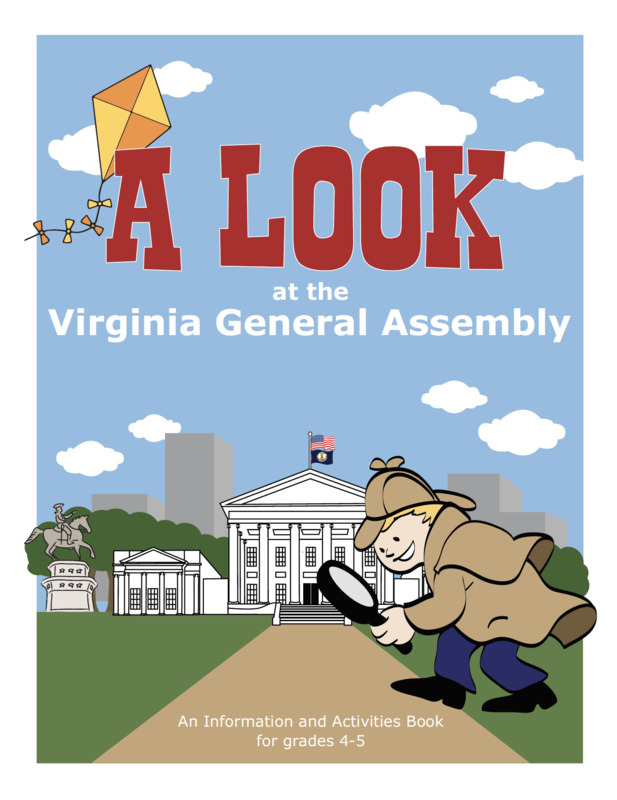 The Activity Book includes Virginia history and government, emblems and symbols, a word search and crossword puzzle, and many more activities that will teach and engage students. A resource page that lists the Virginia Standards of Learning covered in the book is also included. Answer page is included. The Virginia House of Delegates Coloring Book is geared toward Kindergarten- 3rd graders who are being introduced to Virginia studies. 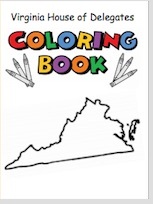 The coloring book includes Virginia history, emblems and symbols, and Virginia born Presidents. A resource page that lists the Virginia Standards of Learning covered in the book is also included. An information and activities booklet for students in grades 4-5. 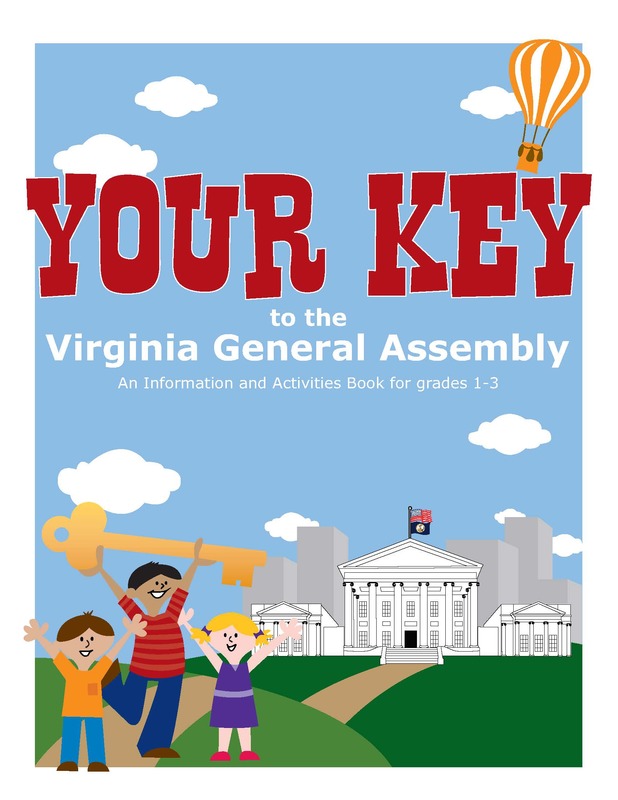 It provides an explanation of the General Assembly and how a bill becomes a law, Commonwealth symbols and emblems, Virginia trivia, and various puzzles. 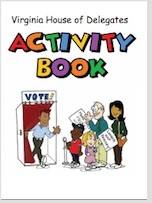 An information and activities booklet for students in grades 1-3. It provides an explanation of the General Assembly, official symbols and emblems to color, connect the dots, and various puzzles. Senate Chamber presentation program brochure. Participants who visit the chamber become Senators in a mock session. They are led through the legislative process of identifying a problem and recommending solutions through debate, consensus building, and compromise. Virginia Capitol Guide contains historical information about the Capitol, Capitol Square, and the Executive Mansion. Descriptions of architecture, artwork, and statues are also included, as well as a map of Capitol Square. A 12" x18" poster that contains pictures of the state emblems and the year that each emblem was adopted. 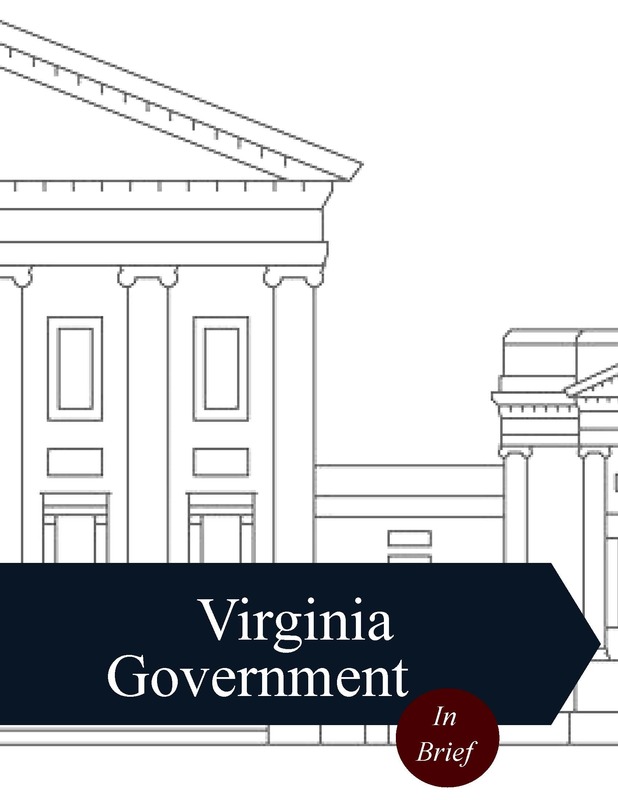 This booklet provides a short and concise description of Virginia's government from the local level to the state level. This fill-in-the-blank exercise is a great way to follow-up with students after the Chamber Presentation. An answer sheet for teachers is included. Produced for upper school-aged students and adult constituents. This publication contains information on the legislative process. Use your sleuting skills to decode the State Motto. Use your sleuting skills to decode the State Nickname. Find the Capitals in this word scramble. Can you name the Famous Virginians in this Crossword Puzzle? Find words related to the General Assembly in this word scramble. Match each State with its appropriate Capital. Find the Virginia Presidents in this word jumble. Create a campaign button for yourself using this template. The Center for Civic Education is a nonprofit, nonpartisan organization that is dedicated to promoting an enlightened and responsible citizenry committed to democratic principles and actively engaged in the practice of democracy in the United States and other countries.